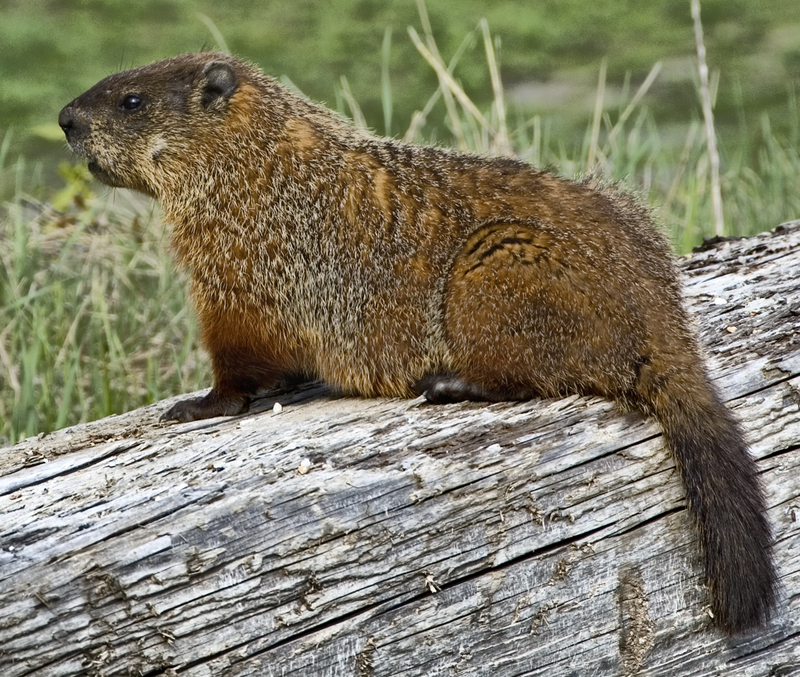 Groundhog (or woodchuck); the star of Groundhog Day each February 2. Photo by dennisg69 on Flickr (noncommercial use permitted with attribution / no derivative works). Groundhog (woodchuck); [file:field-file-main-description] Photo by [file:field-file-photographer]/[file:field-file-source] ([file:field-file-license]). Mish Michaels (a meteorologist with WBZ-TVKids) and students of Wellesley’s Hunnewell Elementary School campaigned to have Ms. G recognized as a symbol of Massachusetts (to teach kids about weather, the environment, and the way legislature works). Pennsylvania’s Punxsutawney Phil is arguably the most famous groundhog in the world (thanks to the movie “Groundhog Day” with Bill Murray), but he’s just one of many official woodchucks hauled from semi-hibernation on Groundhog Day each February 2 and held aloft by men in top-hats to see (or not see) their shadows (to predict whether or not there will be six more weeks of winter weather). 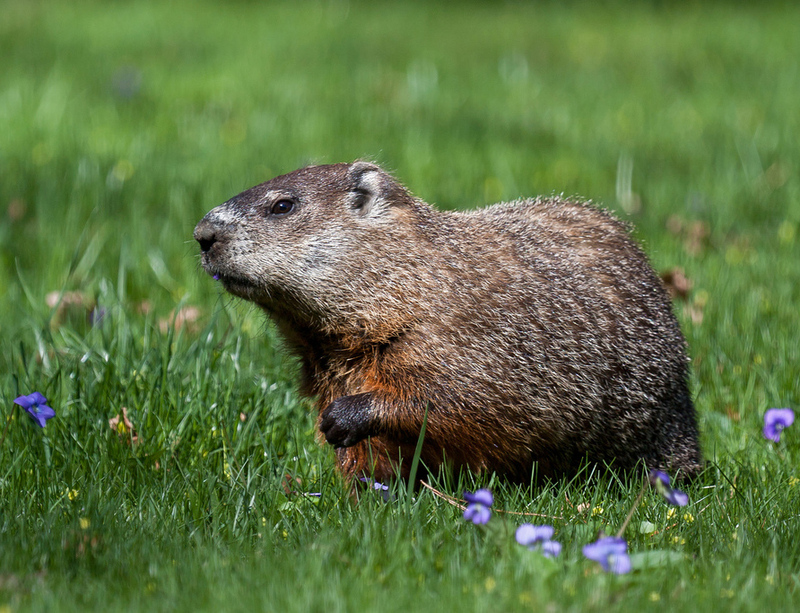 Other big-name groundhogs include Ohio’s Buckeye Chuck, Georgia's General Beauregard Lee, and Connecticut's Chuckles. Groundhog; posing on log. Photo by Liz/Flickr (noncommercial use permitted with attribution). 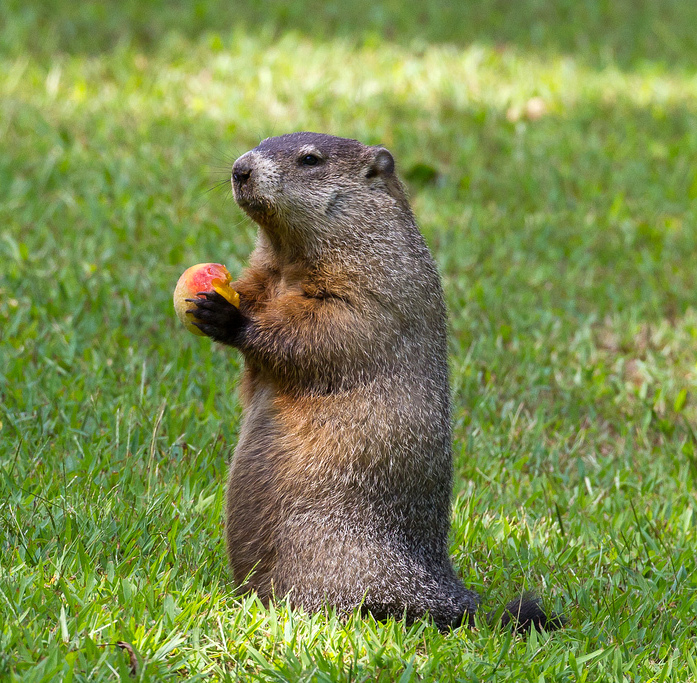 Groundhog (woodchuck); holding a peach in a classic woodchuck pose. Photo by Steve 1828/Flickr (noncommercial use permitted with attribution/no derivative works).